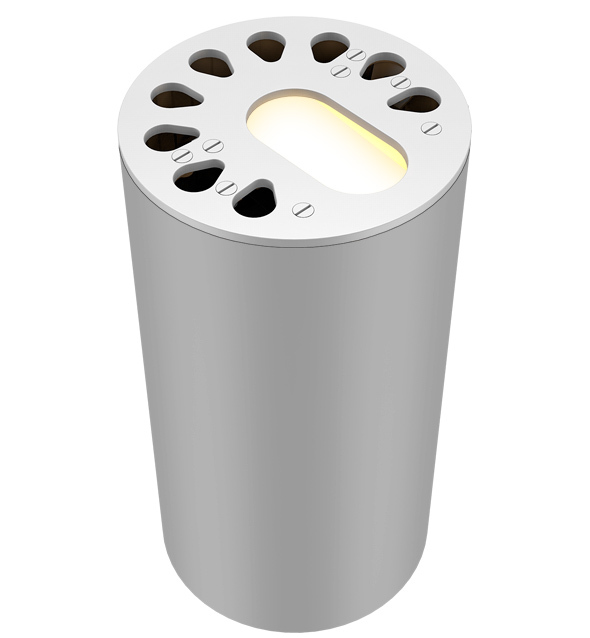 Versatile, classic halogen up light accepts MR-16 lamp. Brass construction. * Data collected using the 3000K LED and/or flood (40°) optic. Die-cast C360 brass faceplate, machined aluminum (powder coated) lamp housing, and mix of brass and stainless steel hardware. PBT construction sleeve. External stainless steel adjustment screws, allowing 30° adjustment. 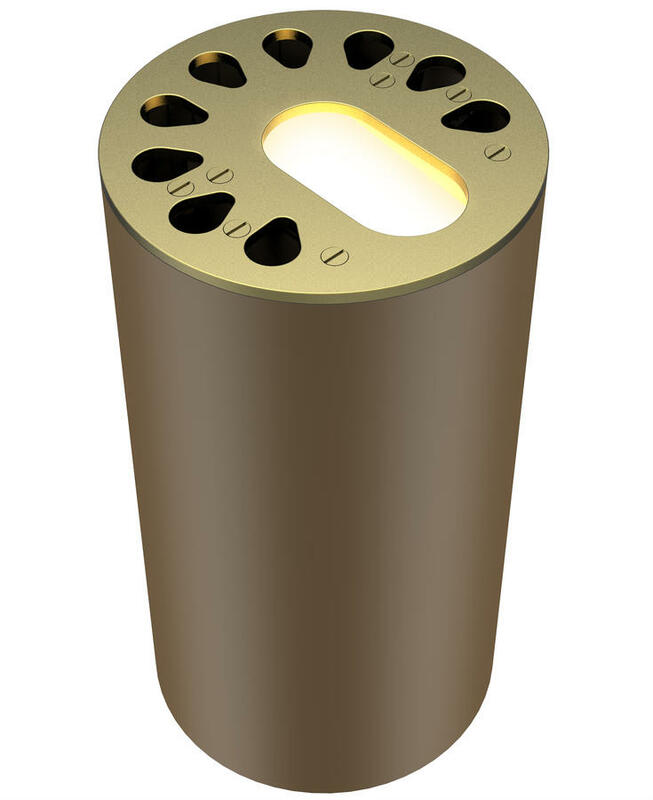 Tamper resistant positioning, ensuring design remains intact. 18 AWG SPT-1W 105° C 300V 36" length. Sealed aluminum housing for MR-16 lamp. Powder coated bronze metallic and strain relief protected for proper sealing. Die-cast brass flat faceplate with window and hemicycle eye drop pattern. Extra thick tempered glass lens with shock resistance and high tolerance for thermal expansion and stress. Various brass and black oxide stainless steel fasteners. Housing/sleeve designed for installation in the upward direction.